TS EAMCET result 2019 will be released on May 2019. JNT University, Hyderabad is the conducting body of TS EAMCET entrance test. Telangana State Engineering, Architecture & Medical Common Entrance Test (TS EAMCET) is a state level entrance exam. It is organized on the behalf of TSCHE to offer admission to the Engineering and Medical courses offered by the various colleges or universities in the state. In this article, candidates can check the complete details of TS EAMCET 2019 result. The candidates those will appear in the entrance exam can check their results through online mode only. The TS EAMCET result/rank card will not be sent to the any candidates by post to their registered address. The result can be checked by providing the details such as registration number and hall ticket number. Candidates are advised to check their result carefully and keep the result and rank card secure as it will be asked at the time of counseling. According the results of the candidates, the university will prepare the merit list, on which basis the admission will be offered. 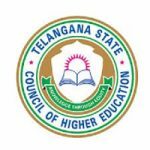 TS EAMCET Cut Off 2019 will be considered for providing admissions. It will be released after the completion of the seat allotment procedure. It will be released by the JNTU, Hyderabad. The result will be announced in last week of May 2019. The written test will be conducted on 3rd, 4th & 6th May (Engg Stream) and 8th & 9th May (Agri stream). The answer key will be released by the university through online mode. The university will publish the final answer key along with the OMR answer sheet. The rank card will be released by the university after releasing the result. Candidates can check the details given below to view their result. Click on the ‘TS EAMCET 2019 Result’ link. Enter the ‘Registration No.’ and ‘Hall Ticket No.’. Type the code and click on ‘Submit’ button. The result will be generated in pdf format. Download the generated result and print it. Take extra printouts of it and secure till admission process. TS EAMCET 2019 Rank Card will be released followed by the result. It will be available through online mode. The authority will not sent the rank card to the candidates through offline mode under any circumstances. The authority generate the rank card after a few days of the declaration of result. Candidates can download their rank card by entering the registration no., date of birth and hall ticket no. Rank obtained by the candidates in the qualifying exam will be considered as a valid score card for admission. The candidates can access the rank card from the official website. On the basis of the rank card, the merit list will be prepared by the university. TS EAMCET Counselling 2019 will be comprised of certificate verification & option exercise procedure. The authority organizes separate TS EAMCET 2019 Counselling for MPC & BiPC stream. If you have any other queries about TS EAMCET Result 2019, you can write your queries in the comment box given below. P.swarnalatha i got 77 marks in eamcet and in ipe 861 in which i will college i will get seat. On which date eamcet results are going to be released?? Sir,at what time will the results be announced on 18 may? What is declaration form ??. sir,iam from andhra pradesh iscored 88 marks in TS EAMCET and ipe group score is 589 and total score is 954. can i get seat in your state? I score 66 marks in eamcet my ipe marks are 574 group both years can I get free seat in eamcet top college and how much rank will got my self. Sir please tell me how to download TS eamcet 2018 modal paper to check key. I got 27 marks in eamcet but answer key are tottslly different? Pls help me? I am scored 35marks in eamcet, what is my rank?? I am scored 35marks in eamcet, what is my rank? I did not get eamcet marks through mail due to wrongly mentioned email address. kindly do the needful please. sir are the results declared? Sir my brother got 32 in eamcet,he will qualify or not? I received mail but not show the result. But Not show mark list. in this mail. How to check my result. I got in ts eamcet 2018 53 marks and in ipe I secured 867.what is my rank?? i did not get eamcet marks through mail due to wrongly mentioned e-mail address. hence kindly do the needful. Wait for declaration of result. Will be known to you at the time of counselling,. We can;t predict it earlier. Will be know to you later after the releasing of result. It is not declared yet. Is I am capable to get free seat in top 5 colleges for 95+ marks? I am scored 980 in IPE. When will TS EAMCET 2018 RESULTS given????? If my marks in ts eamcet-2018 Engg are 105 and 592/600 in groups then what is my expected rank in Eamcet? How much score is needed to get free seat in agbsc it may be in any college…. please sir rly us fast.